An angry female bus passenger violently attacked a female state trooper who was sent out to arrest her in Ohio. The woman wrestled the trooper and pinned her on the ground under a guard rail. 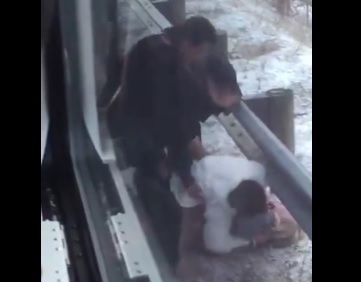 Fellow passengers rescued the state trooper on the highway and helped subdue the angry woman. This happened on a Greyhound bus traveling from Cleveland to Columbus, Ohio.